Earlier it was reported that Shruti Haasan has sung a number for Simbu's next venture Idhu Namma Aalu, directed by Pandiraj where Nayanthara plays the lady lead. The song has been penned by Madhan Karky and composed by Kuralarasan. Since Nayanthara's dates and the film's dates haven't been favorable to each other, it seems that Shruti has been roped in to feature for a song in the film. 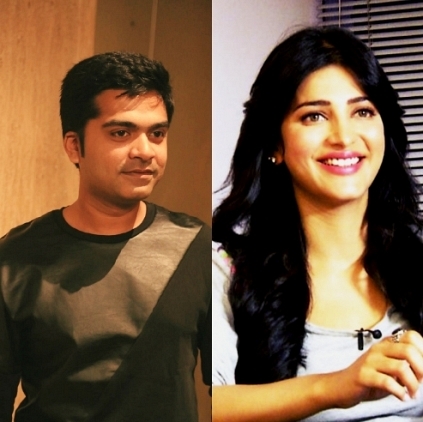 Simbu and Shruti have never been seen together on screen and it would be interesting to see a fresh pair. People looking for online information on Idhu Namma Aalu, Kuralarasan, Nayanthara, Shruti Haasan, Simbu will find this news story useful.